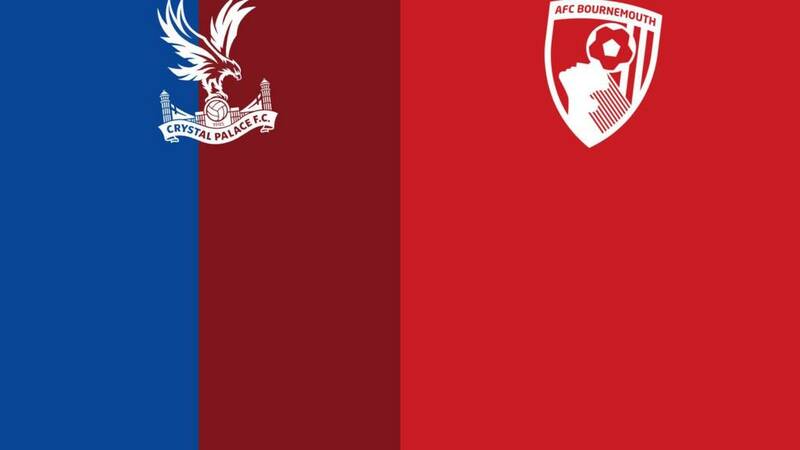 Crystal Palace XI: Hennessey; Ward, Dann, Delaney, Souare; Jedinak, McArthur; Lee, Puncheon, Zaha; Campbell. Bournemouth XI: Boruc; Smith, Francis, Cook, Daniels; Surman; Pugh, Arter, Gosling, Ritchie; Afobe. Right, that's it from me. Head on over to the main Tuesday football live for all the reaction to this and tonight's other Premier League games. Goodbye. All over. Palace slip to a fifth straight defeat. Bournemouth have their fourth away win of the season. Sylvain Distin on for Harry Arter as Bournemouth go into bunker mode. Oh what a chance! Wilfried Zaha, who has been excellent tonight, fires in a low cross and it comes to Emmanuel Adebayor. He takes an age to sort his feet and then fires into the net, prompting a massive cheer around Selhurst Park. But it's the side netting. Agonising. FIVE added minutes. Can Palace find an equaliser? Wayne Hennessey pumps the ball long, but Palace can't get a head on it. Is there another chance in this? Lewis Grabban, who started his career at Selhurst Park, is on. Matt Ritchie makes way. What a chance for Palace! Wilfried Zaha feeds Mile Jedinak, he scoots to the byline and pulls the ball back to the edge of the six-yard box but Marouane Chamakh can only hit it straight at Artur Boruc. Got to score! Now it's Palace who break at pace. Adam Smith hauls down Jordon Mutch on the edge of the area and that's a clear yellow. Ooh, Bournemouth have a huge chance to break, but Harry Arter's attempted through ball is just cut out by Damien Delaney. Palace living dangerously. Benik Afobe is withdrawn and Joshua King is thrown on in his place. Oooh, nervy moments in the Bournemouth area. Marouane Chamakh dinks a free-kick into the area, it almost falls for Emmanuel Adebayor, but the Cherries just about manage to scramble it behind. Palace pump a free-kick into the mixer, it drops to Mile Jedinak, but his shot sails over. Alan Pardew has cranked the Mercurial Striker-ometer to 11. Marouane Chamakh is on to play up top alongside Emmanuel Adebayor. Chung-yong Lee is off. Palace break at pace, Jordon Mutch's cross eludes Emmanuel Adebayor but it drops to Chung-yong Lee, whose shot is blocked. This game is opening up. Simon Francis takes a heavy touch and then follows through on Pape Souare. Regulation yellow. Nope, Jason Puncheon hits it straight at Artur Boruc. Alan Pardew wastes no time in making his move. Adebayor is on, Fraizer Campbell makes way.